One of the cornerstones of democratic decision-making is the free flow of information. In any state, town, business or organization that aspires to be a democracy, there must be the opportunity for constituents to educate themselves in order to make informed decisions. 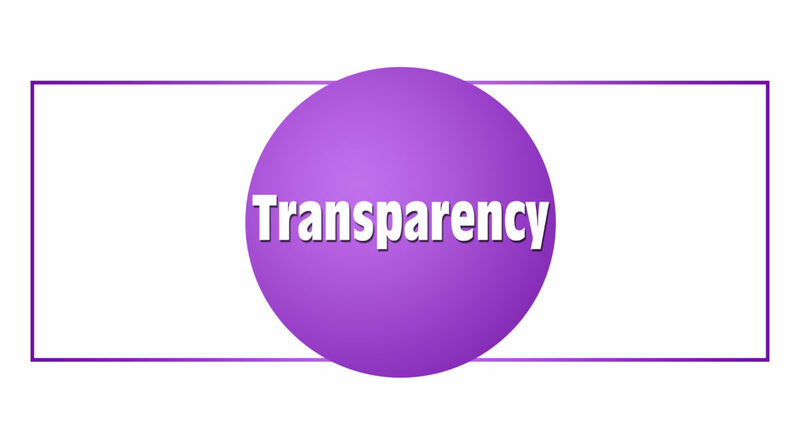 Even in organizations where the power to make decisions is concentrated to a few people, transparency of information to all involved allows informed consent and feedback from the people affected by those decisions. The current administration of the US government has given us some new and unique examples of limited transparency. People who may have previously expected to be informed about decisions in the situation room must now glue themselves to the president’s Twitter feed, leading in one case this summer to Pentagon officials wondering for nine minutes if the country was going to war. Luckily none of our clients’ campaigns have turned violent, so even if strict hierarchy and withholding of information are beneficial in a military or emergency situation, we don’t have to rely on them. While sometimes quick decisions and pivots do need to be made, employing the Action Circles model means taking the time to share information with all involved. Action Circles includes transparency as one of our guiding principles because when everyone is treated as a valued member of a team – when the time is taken to give everyone understanding of why decisions are made – those people feel more a part of that team and those decisions. It raises everyone up, rather than enforcing a hierarchy. This is one reason why the Invite Support Feedback loop works so well to craft action alerts that engage activists; when people get information about how their efforts fit into the whole strategy of a campaign, and how they contribute to the success of that strategy, they’re more motivated to take further action. Organizers often reflect on the results of actions but don’t think to allow their activists the same reflection. People need to know not only by what structure and systems decisions are made but also whether they have decision making power or influence in that process. A lot of people don’t want the responsibility of decision making power, but they want to know who does and how the decisions are made, or how to give feedback if they have an idea or concern. When I started working with Amy ten years ago at Rural Vermont, I was really impressed by how many people, mostly farmers, would not only take quick actions from home like calling their legislators or spreading word to their neighbors but would also travel from all over the state to Montpelier even when they had plenty of work at their farms to testify in front of the legislature. They would host events on their farms and have people come to learn more about the issues and how to plug in. The issues we worked on impacted them directly, and farmers are a stalwart sort to begin with, but we were also employing the Action Circles model, and as part of that we made it a point to let all the farmers and supporters know what was going on, which often meant phone banks and phone trees, multiple mailings every week, and many email updates to keep supporters apprised not only of what was happening but also of strategic machinations in a way that allowed them input and ownership. As a result, Rural Vermont members and activists were committed, effective, and knowledgeable about what was going on, and that kind of energy helped to gain successes in the campaigns as well build the base of the organization. Nearly 10 years after one of those victories in 2008, allowing agricultural (non-drug) hemp cultivation, the crop is being grown by more farmers every year and demand for it continues to grow as well. A lack of free-flowing information is one of the core issues compromising modern bodies that aim to be democratic. It takes effort, well-designed systems, and commitment to building transparency into an organization. The results, however, are stronger organizations, stronger members, and stronger citizens. The Action Circles grassroots organizing training guided me through purposeful principles, goals, and ideas for action that are totally relevant for my organization’s advocacy campaign. The framework of the training is inclusive and intentional—all are welcome and all learn what kinds of power we have and how we can share it with others. I left the training energized and ready to hit the ground running on how to build our movement!